Hisense King Kong 4 Pro VS Huawei Honor Magic 2: Which One Will You Choose? The Hisense King Kong 4 Pro is an advanced version of the Hisense King Kong 4, while the Huawei Honor Magic 2 is a flagship phone from Huawei with a beautiful body and innovative design. Both phones come with a premium body design and they have a nice body and a large display screen size. We will be comparing the Hisense King Kong 4 Pro with the Huawei Honor Magic 2 smartphone. The Hisense King Kong 4 Pro features a teardrop notch on the front with onscreen navigation button and a narrow bezel. The phone also packs a dual camera setup with a rear-mounted fingerprint scanner for security. The body is built with metal and it measures 76.18 mm x 156 mm x 7.8 mm and weight 167 gram. The Huawei Honor Magic 2 features a slider front facing the camera with a smooth panel. The phone is built with the combination of Aluminium alloy and Glass. It measures 75.13 mm x 157.32 mm x 8.3 mm and weighs 206 gram with an onscreen fingerprint scanner. 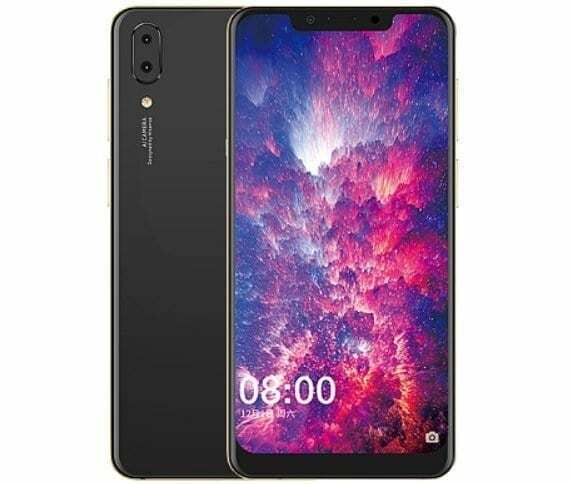 The Hisense King Kong 4 Pro has a screen size of 6.18 inches under IPS, LCD capacitive touchscreen with a resolution of 1080 x 2246 Pixels and 403 PPI density, while the Huawei Honor Magic 2 has a screen size of 6.39 inches QHD+ under OLED capacitive touchscreen with resolution of 1080 x 2340 Pixels and 403 PPI density. 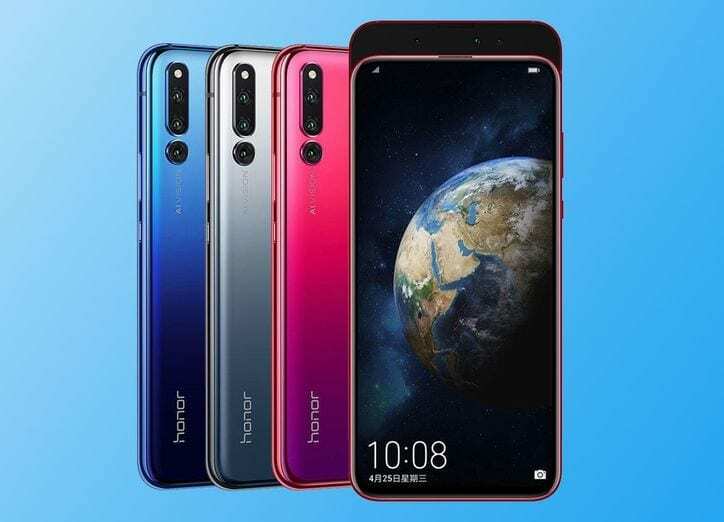 Both phones feature a 2.5D curved glass with a display protection, while the Honor Magic 2 has a higher screen to body ratio. The Huawei Honor Magic 2 will also offer clear visuals than it’s rival. The Hisense King Kong 4 Pro has a dual rear cameras of 13 Megapixels + 2 Megapixels with an LED flash and a front facing camera of 8 Megapixels with Aperture F/2.4, while the Huawei Honor Magic 2 has a triple rear cameras of 16MP + 24 MP + 16MP with dual LED flash and a front facing camera of 16 Megapixels with F2.0 Aperture, and CMOS BSI Sensor. The Huawei Honor Magic 2 is the only one that supports 4K videos shooting and it will also take better photos than it’s rival as well. The Hisense King Kong 4 Pro has a Qualcomm Snapdragon 636 chipset with an octa-core processor that clocked at a speed of 1.8 GHz with Qualcomm Adreno 509 GPU, while the Huawei Honor Magic 2 comes with a powerful chipset built by the company. The phone has a Huawei HiSilicon Kirin 980, 7nm chipset with an octa-core processor that clocked at a speed of 2.6 GHz with ARM Mali-G76 MP10 for graphics. On the memory, the Hisense King Kong 4 Pro has 4GB RAM with internal memory of 128GB which is expandable, whereas the Huawei Honor Magic 2 has 6GB or 8GB RAM with internal memory of 128GB or 256GB. The Hisense King Kong 4 Pro has Android 8.1 Oreo, while the Huawei Honor Magic 2 is powered by Android 9.0 Pie operating system. The Hisense King Kong 4 Pro has a nonremovable battery capacity of 4000 mAh with fast charging technology, while the Huawei Honor Magic 2 has a nonremovable battery capacity of 3400 mAh with fast charging technology as well. It’s only the Huawei Honor Magic 2 that supports wireless charging technology. The Hisense King Kong 4 Pro will cost around $220, while the Huawei Honor Magic 2 will start selling at a price of $799. The Huawei Honor Magic 2 is a beast of the Hisense King Kong 4 Pro. The phone is no match to the later and it will perform extremely fast and handle anything you throw at it. The Hisense King Kong 4 Pro, however, is also a nice phone that will deliver smooth performance. The phone will only make a budget alternative to the Magic 2.